It’s Shogun v Sonnen in the main event and the biggest night of Conor McGregor’s career. DANA WHITE AND his team have created a card filled from top to bottom with intriguing storylines and exciting match-ups to help launch the UFC into millions of new homes. ESPN has given way to BT Sports and Setanta Sports with the promise of new and improved coverage and more TV time dedicated to the continual growth of MMA in America as well as on these shores. Of course it helps if Ireland’s newest combat king, Conor McGregor, is on the card but with a plethora of stars adorning the stellar event it makes this arguably the best card of the year to date. Chael Sonnen, Alistair Overeem and Urijah Faber provide the customary star-power while the likes of Joe Lauzon, Brad Pickett and McGregor, to name but a few, are all involved in fights that are equally as compelling as the bouts on the main card. 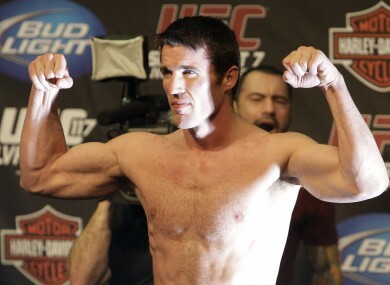 Chael Sonnen has been unusually quiet these past few weeks. There has been the odd volley of verbals fired in Rua’s direction but in comparison to the build-up to some of his previous fights he has been quite subdued in the lead up to this one. It’s doubtful that Sonnen has seen the error of his past verbal indiscretions and more likely that he probably has a little bit more respect for his opponent than he had for either his two previous adversaries Jon Jones and Anderson Silva. Plus the fact that his back isn’t entirely against the wall coming into this fight means that he doesn’t have to come out with all guns blazing. Although he enters the fight as slight favourite, this could prove to be every bit as tough as facing Jones or Silva for Sonnen if the fight stays on the feet. “Shogun” has a far superior stand-up game than “The American Gangster” who often struggles to throw complex combinations. This will be a situation that Sonnen is very familiar with though and as always he will counteract it by looking to rag-doll Rua against the fence and to the ground for every second that the fight goes on. If the “Shogun” that fought Dan Henderson or Lyoto Machida shows up then he could spring a surprise but if not then Sonnen will grind out a victory in the latter rounds. Both Alistair Overeem and Travis Browne looked nailed on to be contesting a UFC title shot before suffering shock losses at the hands of a certain Antonio Silva. Overeem got complacent while a torn hamstring during their fight rendered Browne incapable of stopping a ferocious Silva onslaught. Browne has redeemed himself somewhat with a first round TKO of Gabriel Gonzaga back in April while “The Reem” has been left to stew over his shock loss to Silva for six months. A win for either here would put them a fight or two away from a title shot so there is a lot on the line. While Overeem may be the bookies favourite to win the fight, Browne is more than capable of causing an upset here. He is the more mobile of the two and could look to neutralize the Dutchman’s impressive kickboxing skills by taking it to the ground. Overeem hasn’t really impressed since switching over to the UFC and he has to up his game-planning and attitude if he is to be considered a top contender here. Browne has been ready for a title tilt for a long time and now could be the time when he puts the mystique of Overeem to bed and steps up to become a genuine threat to Cain Velasquez’s crown. Urijah Faber takes on Yuri Alcantara in a bantamweight bout and as always, with no title on the line, Faber is odds-on to pick up the victory. Throughout his career Faber has only fallen foul of the top level fighters in his division and subsequently beaten everyone else. Expect no difference here. Joe Lauzon is looking to bounce back from his defeat to Jim Miller last time out with a victory over a former TUF star Michael Johnson. After back to back defeats it looks as if Johnson is fighting for his career so expect him to give it everything but Lauzon will exploit the gaps on his way to a submission victory. Uriah Hall gets a second bite at the cherry as he looks to show he is UFC ready as he takes on John Howard. Hall has shown glimpses of brilliance in his career to date but must not fall into the same trap of holding back too much like he did in his last fight against Kelvin Gastelum. Hall to win by KO/TKO. There is no doubt that the story of the weekend is our very own Conor McGregor. While he is still earning his stripes on the undercard, the coverage he has courted in the past week has been nothing short of monumental given he is up against the likes of veteran stars Chael Sonnen and Alistair Overeem. A victory for him here would no doubt propel him onto the UFC a-list but he must focus on the immediate task at hand which is defeating the tough Holloway. The Boston crowd will make him feel like he is fighting in Dublin and it seems like everyone is intrigued as to what he is going to do once those cage doors close. We can’t wait. Email “Uncaged: Stellar card ushers in new TV era in the UFC”. Feedback on “Uncaged: Stellar card ushers in new TV era in the UFC”.